Security researchers have discovered a variation of a 19-year-old cryptographic attack that can be exploited by the attackers to get private encryption key necessary to decrypt secure HTTPS traffic. The attack, named ROBOT (Return Of Bleichenbacher’s Oracle Threat), is a resurrection of a bug that was first discovered nearly two decades ago and now affects some of the most popular websites, including the likes of Facebook and PayPal. They added that they used minor variations of the original attack and were still successful, saying that the issue was hiding in plain sight. In simple terms, the original attack enabled attackers to launch a brute-force attack to guess the session key and decrypt all HTTPS messages exchanged between the TLS (HTTPS) server and the client browser. At the time, RSA wasn’t replaced with a secure algorithm, instead designers had added countermeasures to make brute-forcing difficult. The new method essentially focuses on these countermeasures to exploit the original bugs. 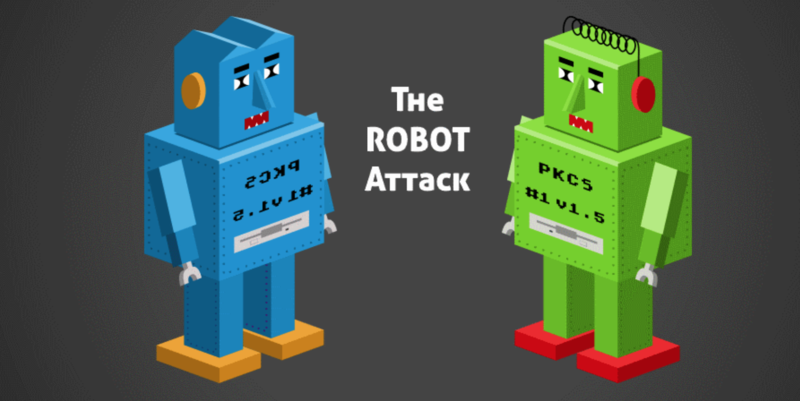 While the attack only works under certain conditions, until the fixes are offered by the companies like Cisco and Citrix, the ROBOT research team and US-CERT have advised to disable TLS session key RSA encryption. The security researchers have released a tool to scan for vulnerable hosts; for more details, visit their website or US-Cert.